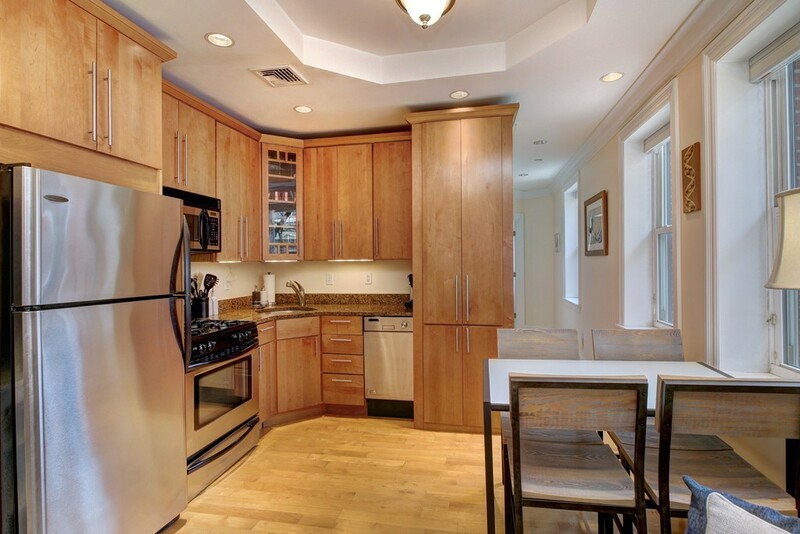 Located in the heart of the North End, 101 Prince Street was converted into a 12 unit luxury condominium building in 2006, with #3 being a desirable front facing corner unit. This contemporary condominium boasts superb ceiling height, open concept kitchen/living area flanked by two generous bedrooms on either end, creating privacy and delineated space. Floor to ceiling kitchen cabinetry will hold all the necessities, gas cooking, stainless appliances and granite counters finish off this well appointed open concept kitchen. Professionally managed building with low condo fees, ample reserves. Private roof deck with beautiful views, central AC and in unit laundry makes this a rare find. Prince Street is steps from Boston Harbor, the Christopher Columbus Park, The Rose Kennedy Greenway and historic Faneuil Hall. Restaurants, cafes, shopping and local charm of the North End are all within easy reach.